The majority of K-12 schools have openly embraced social media in an attempt to improve interaction with their students, parents and online community. Faced with various federal and industry regulations and laws, a large number of schools have already implemented retention systems such as email archiving. But what about your school’s Facebook and Twitter accounts? Many educational institutions are not aware that social media content is subject to the same regulations and can be requested for review or as evidence in eDiscovery procedures. 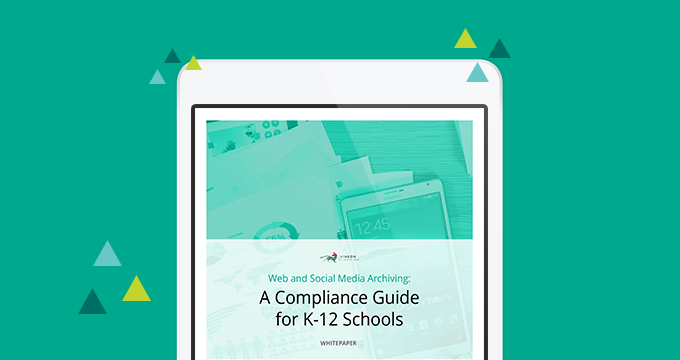 This white paper zooms on the unique challenges associated with social media use in the education sector and explains the role of social media archiving in addressing those challenges.